This is the perfect server for vegetables and dip or apples and honey . . .you decide! 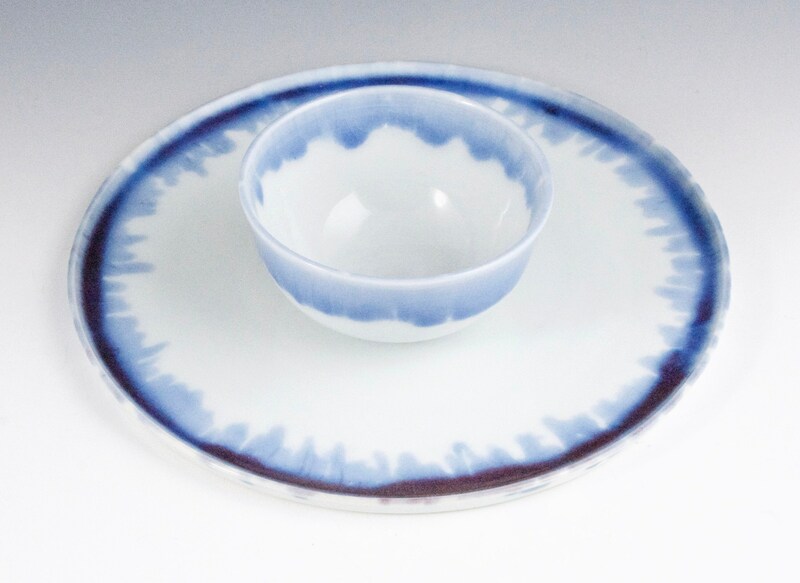 This porcelain two piece server is wheel thrown. They are glazed in a gloss white with a rim of blue with hints of a purple/red. Dimensions: 9.5" diameter plate with a 4 1/2" diameter bowl.